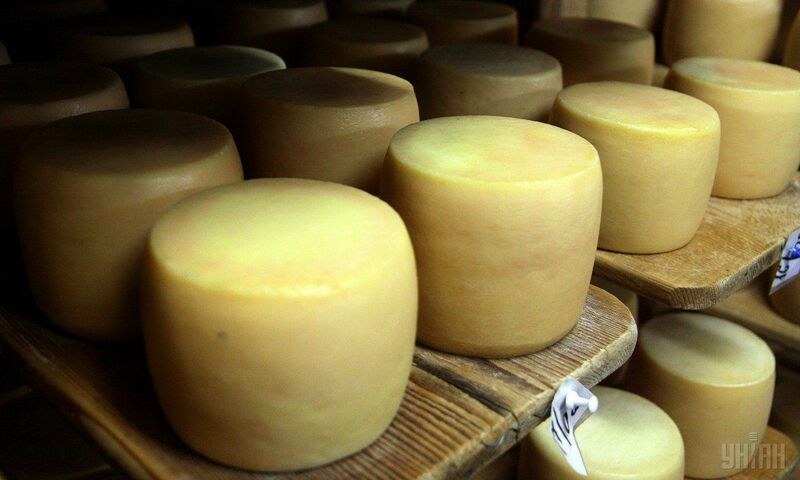 Ukraine starts cheese exports to UAE, U.S.
Ukraine-based Milk Alliance group has launched exports of hard, processed and soft cheeses to the United Arab Emirates and the United States, according to the company website. "Processed cheeses – Chocolate, Honey and Yantar – made by Bashtanka cheese plant, were shipped in November 2017 to the UAE under TM Family Harvest, and on the eve of the New Year we exported the soft cheeses Provvollone and Provvollone smoked," the report said. As reported, the negotiations regarding the products supply to the Arab countries lasted about nine months. At present, the company has already signed a long-term contract. Read alsoUkraine to see further drop in milk output – agriculture ministry"In future, we plan to expand the range of products for export and look forward to long-term and fruitful cooperation," the press service quoted Milk Alliance Commercial Director Victoria Predborska as saying. Milk Alliance has also established cooperation with the U.S. partners. In 2017, it shipped two batches of hard and processed cheese produced by Pyriatyn Cheese Plant to the U.S. In particular, 11 cheese brands were exported. Besides, in June 2017, Milk Alliance made its first delivery of dairy products Yagotynske, Yagotynske for children, and Slavia to the retail chain "Ukrainian Products" in Georgia and Azerbaijan. As UNIAN reported earlier, on October 18, 2017, Milk Alliance shipped its first batch of dairy products (16 tonnes of packaged ultra-pasteurized milk) onto the Arab market, namely to Bahrain. Read alsoEU quality standards for chocolate come into force in UkraineMilk Alliance has been exporting butter to the UAE for several years and now plans to increase Ukraine's dairy products exports to the Arab states in the future. Milk Alliance is a group of companies, which includes high-capacity enterprises designed for producing and marketing milk products. The holding includes nine enterprises of the dairy industry, such as Pyriatyn Cheese Plan, Bashtanka cheese plant, Zolotonosha Butter-Making Combine, Yagotynsky Butter Plant, etc. The products are manufactured under the brands Pyriatyn, Slavia, Yagotynske, and Yagotynske for children.